Situated in the southern state of Paraná in Brazil, Curitiba is a large city with a population of over 3.2 million people. 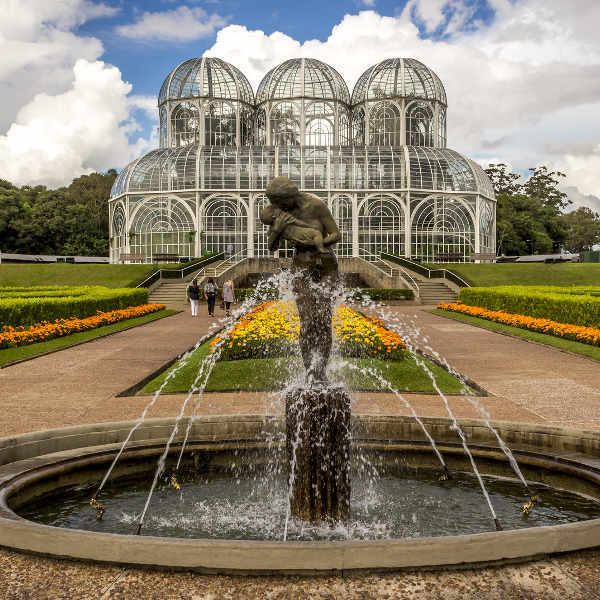 Boasting an impressive skyline of museums, business towers and sprawling nature parks, Curitiba is a significant political, economic and cultural hub in Latin America. Attractions like Carnival and the Oscar Niemeyer Museum see an influx of tourists. 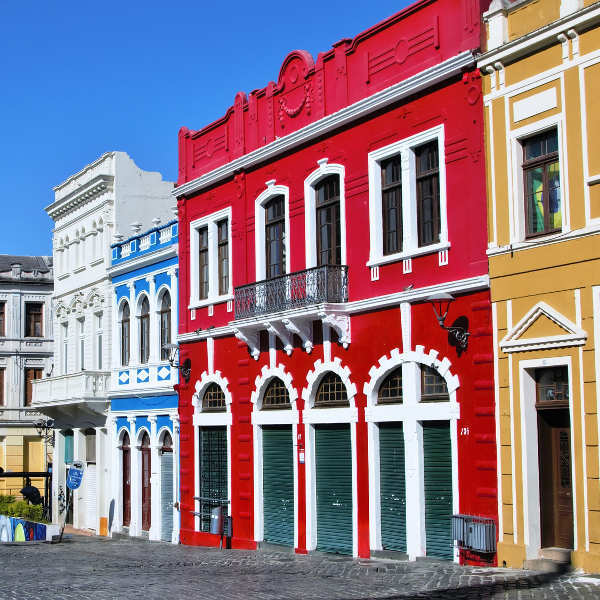 Cheap flights to Curitiba are now available for a limited time only, so book your flight today and prepare to be absorbed by the tropical scenery and remarkable architecture of this vibrant city! Curitiba is home to Afonso Pena International Airport (CWB), a 30-minute drive from the city centre. Meander through the winding streets of Largo da Ordem and Horas Street where you’ll be treated to some classic and contemporary architectural masterpieces, inspired by eastern and western European inhabitants. With such fascinating structures exhibited around the city, landmarks like the Oscar Niemeyer Museum, Arab Memorial and Japan Square portray a fusion of cultural and artistic influences that will intrigue the most curious visitor. This environmentally-conscious city boasts an array of parks and urban forests, easily explorable on foot or by bicycle. See the birdlife frolicking in the lakes as you absorb the sights and sounds of nature. Peak season in Curitiba runs from November to March where the hot, vibrant summer weather makes it ideal for outdoor activities and lazy beach days. Be forewarned that this period is the busiest (especially during Carnival in March), so be prepared for crowds, expensive accommodation and traffic jams. The winter months of June to September are not favourable as the colder weather is not ideal for any kind of beach activities. The sweet spots are April and October when the weather is pleasantly warm and prices are much more reasonable. Located in the southern region of the Brazilian state of Paraná, Curitiba is the perfect stopover point before Rio de Janeiro and Sao Paulo, and the famous Iguaçu Falls. With a city centre over 300 years old and influences from a wide variety of local and international cultures, this thriving Brazilian hub is a fascinating melting pot of life, art and industry. 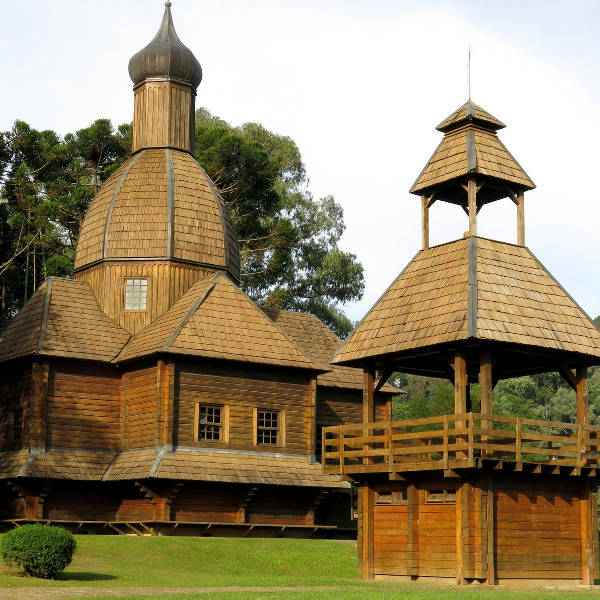 Curitiba has a wealth of important architecture, both ancient and modern in origin. The historic area of Lago da Ordem is the best place to see the city’s original buildings dating back over 300 years. Modern structures worth visiting include the Wire Opera House, the Oscar Niemeyer Museum and the Arab Memorial. Among the churches and cathedrals, other cultural places of interest are Japan Square and the multitude of historical theatres. Nature enthusiasts can enjoy the serene atmosphere and bird-watching at the Botanical Gardens and Barigui Park. Feel the pulse of the city’s nightlife, art scene and culinary delights along Horas Street. For an authentic shopping experience, look no further than the markets of Feira do Largo da Ordem and along Spain Square. For a change of pace, hop on the Serra Verde Express train to the coastal town of Morretes – an exciting, scenic day trip to make your time in Curitiba even more memorable! Compare several airlines and book your cheap flights to Curitiba online at Travelstart! Curitiba is a considerably safe city, but be on the lookout for opportunists. Brazil does have large signs of poverty and petty crime is not uncommon, especially towards tourists. It is not advisable to carry large sums of money or visible electronics when walking around – be discreet. Keep money and passports securely zipped in a traveller’s purse or locked in your hotel safe. Tap water provided by COPASA is regarded as safe to drink, though most tourists prefer bottled water. Always check the colour of the water and ensure the seal is not broken to avoid consuming bootleg bottled water. Do not walk the streets at night, rather use a taxi. Although a yellow fever vaccination is not mandatory, it is highly recommended, along with precautions against typhoid, malaria and dengue. Should you require medical assistance, you can go to the free public clinics called “posto de saúde” where some of the nurses may speak a little English. It is highly recommended to take out a comprehensive travel insurance as medical care can work out to be expensive.